What Should Black Progress Look Like? In our highly competitive and technological post-modern era, what does Black progress even look like? While the Black community has accomplished so much thus far, there's a lot of progress to be accomplished still. The real measure of a people is the collective progress of the group as a whole. The Black community has placed local community activism at the apex of Black progress. It is for this reason that the Black community tends to focus almost exclusively on local individual awards in education, politics, art, and entertainment, etc. Other cultures have a broad focus on corporate awards for leadership excellence and "group achievement," in various business and industrial fields. Black progress means family stability ("The ruin of a people begins within the family," though some causes may come from outside the family). Black progress means unity among Black people. It means winning national and international corporate awards for excellence in some of the fields mentioned above. Black progress means ownership of financial corporations to fuel Black entrepreneurship, research and development (R&D), and other financial needs such as financing student loans, mortgages and construction projects. Black progress must manifest in the offering of scholarships, and hiring representative numbers of high school, college, and university graduates. Black progress means offering apprenticeships and internships within corporations, in particular, Black businesses. Black progress means a "Wholesome Education" of Black youths underpinned by a curriculum that incorporates spiritual, moral, social, intellectual and physically development. Black progress means an education that recognizes the need for Black graduates to function in a global economy. Black progress means an empowered Black church that incorporates five foundations of human development such as spiritual, moral, social, intellectual and physically development. 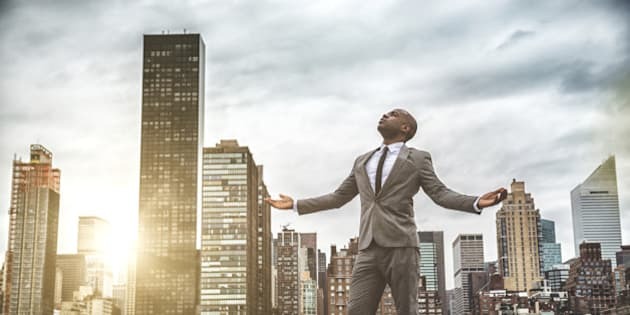 Black progress means Black Directorship of major corporations and a strong collaboration between Black companies and majority firms, to achieve mutually beneficial objectives. Black progress means significant ownership of arts, entertainment, sports and automobile franchises, as well as ownership of corporate and business facilities. Black progress means that all Black leaders in every discipline recognize a higher moral authority to guide peoples and nations. Black empowerment means having access to a portion of the billions of dollars in government procurement activities. This is the greatest and most sustainable vehicle for Black empowerment on the planet. Black progress means having the capacity to crowdfund hundreds of thousands of dollars for Black and other majority causes. Black progress means that young Black women are empowered, and are not struggling to work multiple jobs to raise their children. Congratulations! You are doing a magnificent job ― notwithstanding.